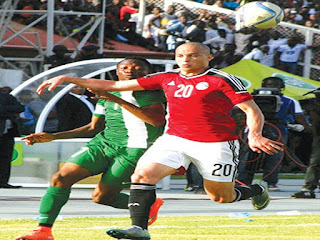 Again, Eagles fail to qualify for Nations’ Cup - BlogIT with OLIVIA!!! They had all the support, both morale and financial, going for the second leg of the Gabon 2017 African Nations Cup qualifier against Egypt in Aleixandre. They promised Nigerians that they would not allow the Pharaohs stop the country from appearing in the 2017 AFCON. But all the boasts amounted to nothing yesterday, as the Eagles put every foot wrong, conceded a second half goal to give the Egyptians a passage to Gabon. The Pharaohs failed to appear in the last three editions of the Nations Cup in 2012, 2013 and 2015, just as the Super Eagles missed the last edition in Equatorial Guinea, where they were the defending champions. Egypt now have an unassailable seven points with a round of matches to be played in June. Nigeria have two points and even if they trounced Tanzania in September, they will not be at Gabon 2017. Teenager Radwan Sobhi grabbed the all-important goal for the Pharaohs in the 65th minute when his toed effort from just inside the box trickled past goalkeeper Daniel Akpeyi. Despite Super Eagles’ galaxy of foreign stars, they never really stretched the Egyptians backline. The Pharaohs created the better chances in the first half, but Nigeria also had their moments during a goalless first half at a packed Borg El-Arab Stadium in Alexandria. Nigeria played with a lot of confidence and dictated the tempo of the game for a good period of the first 45 minutes. 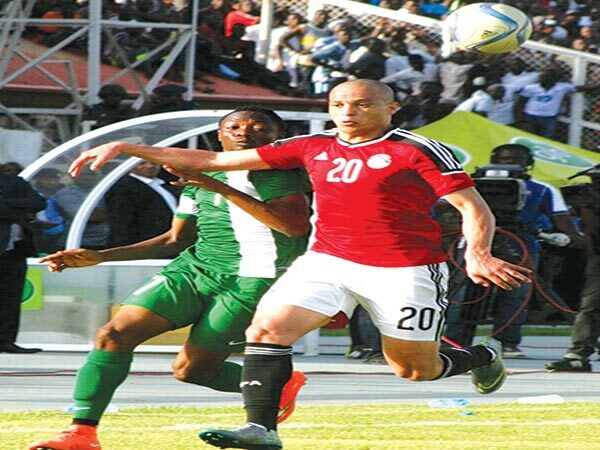 Egypt created two early openings – Hegazy headed narrowly past the Nigeria goal after five minutes and almost immediately, skipper Al-Said fired with a left foot from inside the box. Al-Said then delivered a low cross from the left in the 29th minute, but Mohamed Salah was not close to make contact. In the closing minutes of the first half, Nigeria goalkeeper Akpeyi pulled off two big saves from Ibrahim Salah and again skipper Al-Said. In the seventh minute, Umar Aminu dashed into the Egyptian goal area but his shot was firmly held by the goalkeeper. Odion Ighalo had a half chance when he controlled the ball inside the box, but he shot wide in the 15th minute. To some Nigerians back home, the Eagles lost yesterday’s game from the bench. After the fantastic display by Simon Moses in Kaduna last Friday, many were looking forward to seeing him in coach Samson Siasia’s starting list yesterday. Again, the changes made by Siasia in the second half left many to wonder if he was really a material for the senior national team. Some were of the view that mother luck worked against Siasia in the Super Eagles. In his first stint with the Super Eagles in 2012, Siasia needed just a win against Guinea in Abuja to book a passage to Gabon and Equatorial Guinea. The Eagles were three minutes away from the ticket before the Guineans equalized to knock Nigeria out of the race. It happened again last Friday in Kaduna.